I’ll admit I’m not much of a sports fan. To tell the truth I couldn’t care less who plays in the Superbowl or who wins. 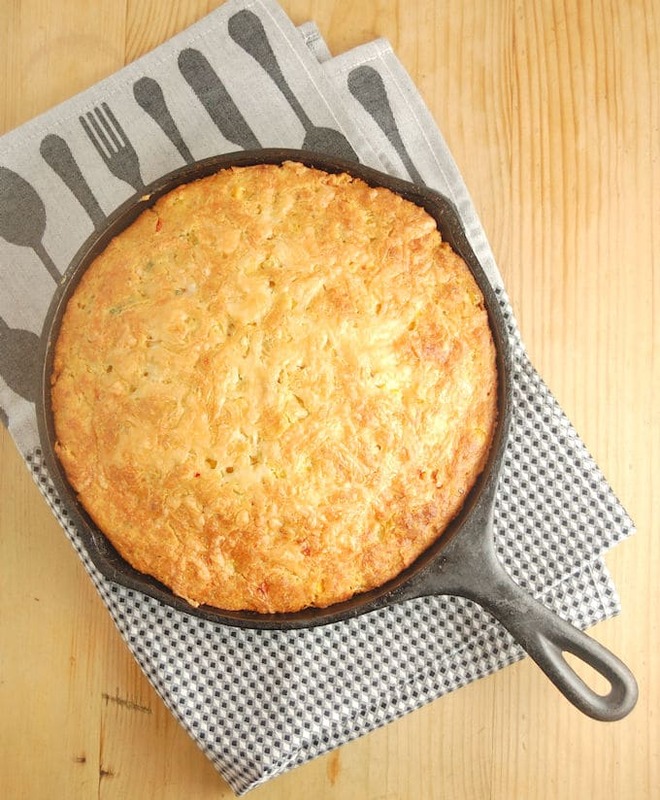 But I’m all in for the game-day goodies -like this Skillet Cornbread. 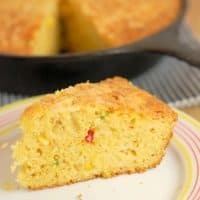 Chock full of corn kernels, jalapeno, scallions and cheddar cheese this cornbread could stand on it’s own as a snack, but it’s also the perfect partner for a hearty bowl of chili or soup. Come to think of it, it wouldn’t be out of place next to some eggs for breakfast or brunch, either. It tastes best still warm from the oven, but it will keep a couple of days at room temperature. 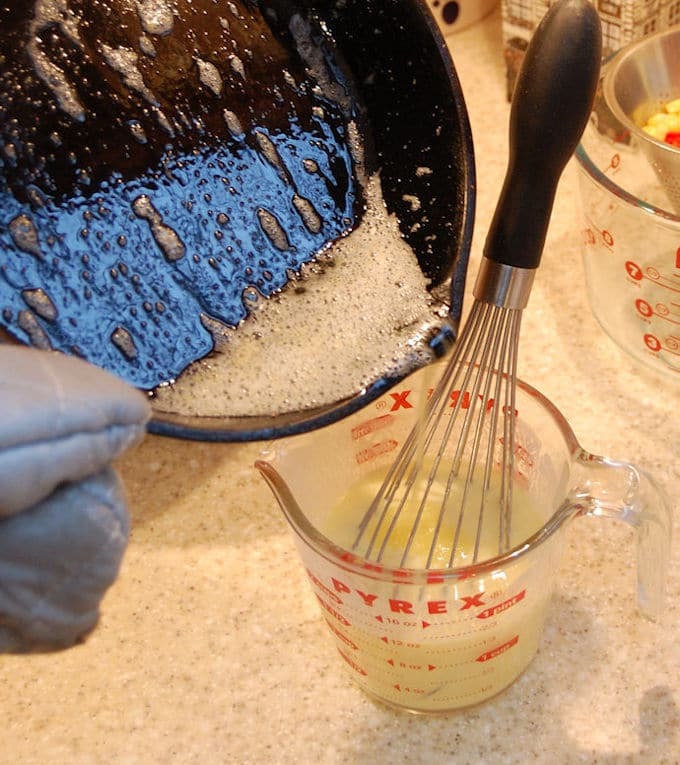 The super simple batter comes together in minutes. 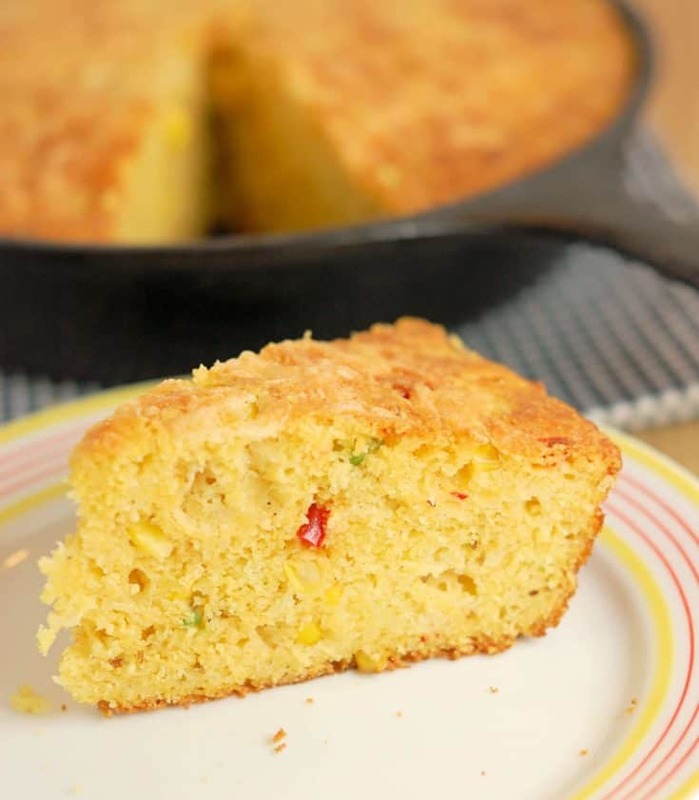 When it’s baked in a well-seasoned cast iron skillet, this cornbread gets a crunchy-crispy brown crust that is sooo yummy. 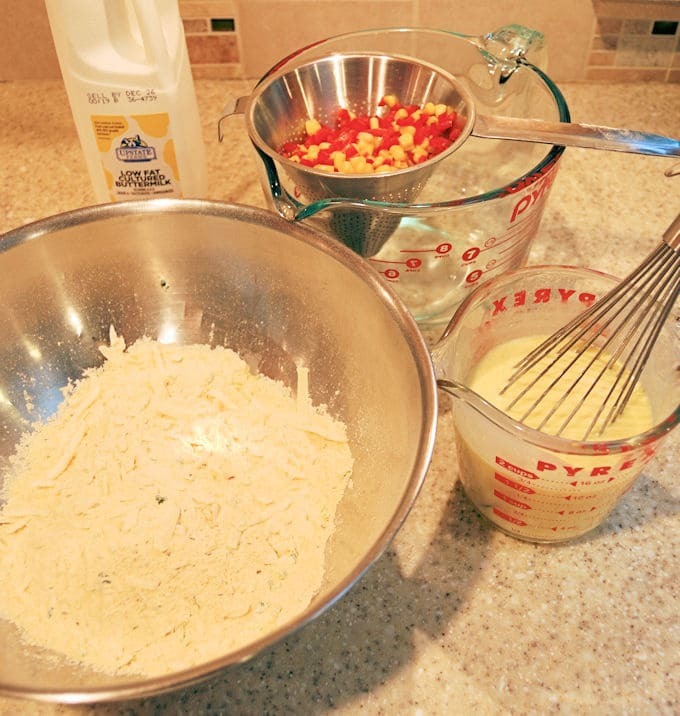 Bake the batter in muffin or mini muffin tins for individual portions. 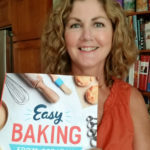 Muffins won’t have the extra crunchy crust, but single servings are neat and convenient for large gatherings. 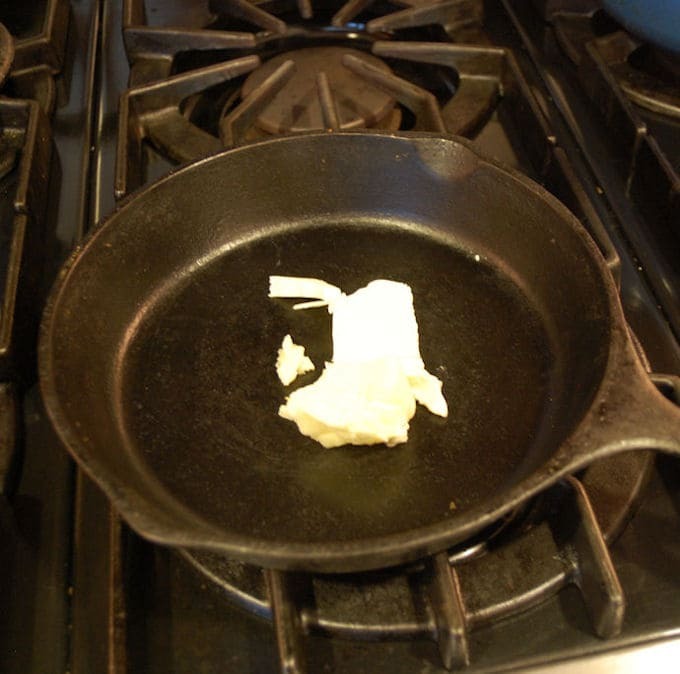 Swirl the melted butter to coat the pan and pour the remaining butter into the buttermilk. 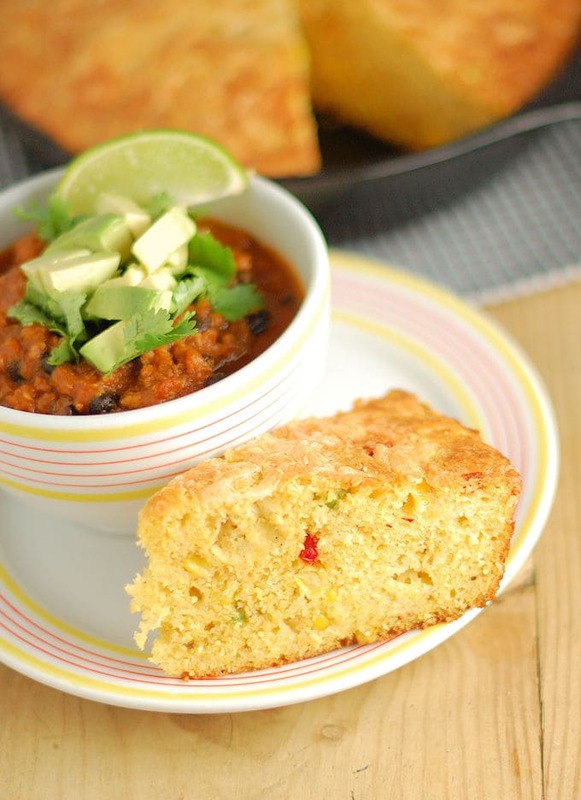 I added jalapenos, cheddar, scallions, cumin and corn kernels to the bread because I love all those flavors together. If you don’t like the heat use sweet bell peppers instead of the jalapeno. You can switch out or eliminate any of the other add-ins according to your own tastes. I couldn’t care less about the game. But as long as there is good food to eat, I’m still happy. It's best still warm from the oven but will keep several days at room temperature. 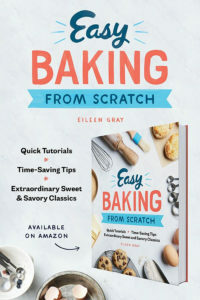 If you don't have buttermilk you can add 1 tablespoon of lemon juice or white vinegar to whole milk and let it sit for a few minutes to become sour. If you don't like the heat of the jalapeno you can use sweet bell pepper instead.